Military History Books, TOMB OF THE PANZERWAFFE,Aleksei Isaev & Maksim Kolomiets,Helion,ISBN�9781909982161,SS Leibstandarte,Adolf Hitler,Das Reich,Totenkopf,Wiking,Red Army's 3rd Ukrainian Front, PANZER DIVISIONS OF THE WAFFEN-SS,Rolf Michaelis,Schiffer,ISBN�9780764344770,1.SS-Panzer-Division �Lebstandarte Adolf Hitler�,2.SS-Panzer-Division �Das Reich�,3.SS-Panzer-Division �Totenkopf�, THE GERMAN SNIPER BADGE 1944-1945,Rolf Michaelis,Schiffer,ISBN�9780764340321, THE GERMAN TANK DESTRUCTION BADGE IN WORLD WAR II,Rolf Michaelis,Schiffer,ISBN�9780764340529. 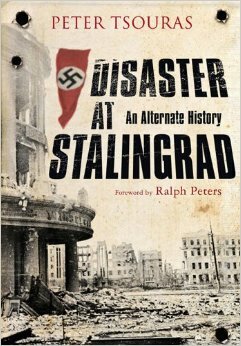 DISASTER AT STALINGRAD: AN ALTERNATE HISTORY,Peter Tsouras,Frontline Books,ISBN�9781848326637,6th Army and 4th Panzer Army. In March 1945 the Wehrmacht undertook a final attempt to change the course of the war by launching a counter-offensive in the area of Lake Balaton, Hungary. Here, the elite of the Panzerwaffe were assembled including Pz divisions SS Leibstandarte Adolf Hitler, Das Reich, Totenkopf, Wiking and others, armed with up to 900 tanks and self-propelled guns. Troops of the Red Army's 3rd Ukrainian Front were pitted to repel the counteroffensive and could not call upon reinforcements from the Stavka Reserve, which were needed for the storming of Berlin. 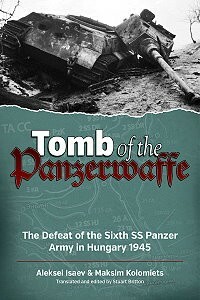 That they defeated the Sixth SS Panzer Army became a catastrophe for Germany. The book is lavishly illustrated with hundreds of rare photographs and color maps. 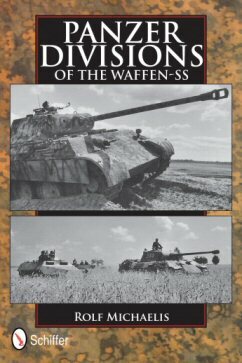 A detailed history of all seven Waffen-SS Panzer Divisions in WWII. Includes: 1.SS-Panzer-Division �Lebstandarte Adolf Hitler�; 2.SS-Panzer-Division �Das Reich�; 3.SS-Panzer-Division �Totenkopf�; 5.SS-Panzer-Division �Wiking�; 9.SS-Panzer-Division �Hohenstaufen�; 10.SS-Panzer-Division �Frundsberg�; 12.SS-Panzer-Division �Hitlerjugend". There is a detailed history of each unit from its formation, combat operations and final disposition at war�s end. Rare images include soldbuchs and award documents, maps, and charts, personal veteran accounts plus details of divisional commanders. Hitler created the Sniper Badge on August 20, 1944, to impel soldiers to train and be used as snipers. Thus the strategic importance of single combat was stressed in highly stylized propaganda. Since the soldiers themselves were in sight of the enemy troops, unlike the members of other service arms, they experienced the death of their enemies directly. 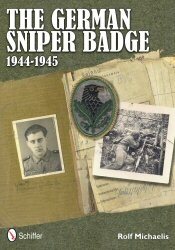 In this concise history, this badge, as well as the actions of German snipers, is examined and includes colour images of badges, weapons, awards, soldbuchs, and war era photos. The close-range engagement of tanks became extremely important, mainly because of the Soviet T-34 and KV-I tanks were for a long time, superior to all German tanks and anti-tank guns. Frequently employed in small groups of three to five tanks to support the infantry, these Russian tanks could often be put out of action with close-range weapons. 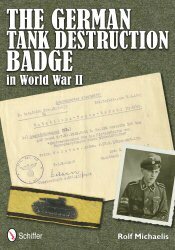 This book provides a concise account of Tank Destruction Badge, and the close-range combating of tanks. In addition to a description of the special badge and the most commonly used weapons, it includes operational accounts by recipients of the badge. It is Spring 1942 and Hitler is about to launch his summer campaign to break the back of the Soviet Union. His objective is to destroy the Red Army and seize the oil fields of the Caucasus. His elite 6th Army and 4th Panzer Army become bogged down amid the ruins of Stalingrad. The Germans are running out of resources as Stalin carefully husbands his reserves for the decisive counterstroke. What happens next is well known: the German Army never recovered from its defeat at Stalingrad. But the outcome could have been very different, as Peter Tsouras demonstrates in this thought-provoking and highly readable alternate history of the fateful battle.